Lee County:How to Get Employees to think like owners! When organizations are filled with leaders and team members who think and act like owners, work is more meaningful, rewarding, and enjoyable. But that benefit is just the tip of the iceberg. Ownership is also a central component of an organization’s ability to execute on strategy. To be successful over the long term and outpace the competition, it takes an entire workforce who feels responsible, acts with empowerment, and is fully invested in the mission of the business. Join us at this informative meeting and learn from SWFL top business owners how they make their employees feel like owners. Cindy McCurry-Ross, Regional Editor and Executive Editor USA TODAY NETWORK – FLORIDA | The News-Press, Fort Myers, FL In 2018 she was named Florida editor for the USA TODAY NETWORK, which includes the Naples Daily News. She is in the 28th year of her career with the network. Eighteen of those years have been in various positions at The News-Press, where she started as a business reporter in 1988.She has served as editor of The (Salinas) Californian and the Gainesville (GA) she had been executive editor at The Daily Advertiser of Lafayette, LA, and regional editor for Gannett Louisiana and before that, she was an executive with Gannett Co. Inc.’s corporate news team. Cindy is a member of the Above Board Chamber of Florida. Brian G. Chapman Jr., CEO of Chapman Insurance Group. Brian Chapman, Jr. is a lifelong resident of Southwest Florida. Brian founded Chapman Insurance Group, a Southwest Florida Independent Insurance agency that provides insurance products for both commercial and residential insurance in Florida. Brian was appointed by Governor Rick Scott in 2011 to the Board of Trustees at Florida Southwestern State College and served as Chairman of the Board of Trustees until 2018. Brian is active in his church, local little league, and loves the “salt life” that Southwest Florida offers. Brian is a member of the Above Board Chamber of Florida. Christina Harris Schwinn is a partner with the Pavese Law Firm. Her primary practice areas are employment law, business transactions, community association law and real estate law. Prior to joining Pavese, she served as General Counsel for two large companies that provided human resource and staffing services. Schwinn is an accomplished public speaker who speaks frequently to groups on a number of employment law topics and regularly writes articles that have been published both locally and nationally. Christina is a member of the Above Board Chamber of Florida. Marie Springsteen, President of 4 Word Foundation has over 40 years as a certified Human Resources professional and is the Corporate Secretary/Human Resources Manager at Klocke of America, Inc. Personal experience with a Breast Cancer diagnosis provided the catalyst in forming 4 Words Foundation Inc. Marie volunteers her time as the President of the Foundation and believes in giving back to the community. Marie spends her spare time volunteering for several other local non-profits. Marie is a member of the Above Board Chamber of Florida. Brian G. Chapman Jr., CEO of Chapman Insurance Group. State Insurance is a second generation insurance agency here to serve the growing insurance needs of Southwest Florida. We are a full-service independent agency committed to providing our clients with unmatched service and professionalism. We do not work for an insurance company, we work for you. We represent a carefully selected group of financially sound, reputable insurance companies. Utilizing the latest technology, we can instantly compare the rates of competing companies to find the best combination of coverage and price for your needs. You can learn more and reach Brian at 239-205-2012 or at https://www.cigflorida.com/ Brian is a member of the Above Board Chamber of Florida. Christina Harris Schwinn, is a partner with the Pavese Law Firm. Her primary practice areas are employment law, business transactions, community association law and real estate law. Ms. Schwinn is an accomplished public speaker who speaks frequently to groups on a number of legal topics including employment and community association law, and regularly writes articles that have been published both locally and nationally. Schwinn has served as a volunteer attorney for Gulfcoast Legal Services, Inc. in Sarasota has performed pro bono work for the Lee County Alliance for the Arts, and Dress for Success of SWFL. 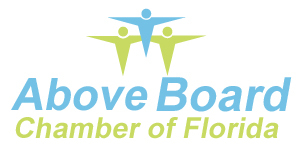 Christina is a member of the Above Board Chamber of Florida. Check out everyone's favorite afterhours that is also coming up this month! This event fills up fast so you must RSVP to attend! This event is back and Everyone is invited to join us for our "Annual Spring Fling"
Bayfront Inn 5th Avenue Naples "After-hours"
Must RSVP to attend as this event always fills up fast! Hosted by Above Board Chamber of Florida member Bayfront Inn 5th Ave Naples, Fl. The Bayfront Inn on Fifth has undergone a multi-million dollar renovation to become Naples only waterfront downtown luxury boutique hotel. Discover our Caribbean chic decor, while your senses are relaxed into a state of bliss. We are conveniently located on 5th Ave., within walking distance to gourmet restaurants, shopping, art galleries, and nightlife. Discover the Naples waterways with a charter boat or one of our experienced fishing captains, located at our 12 slip marina. We invite you to explore the tastes of the tropics with a romantic getaway filled with tropical sunsets. Music, prizes and lots more till 9:30 PM! promote their business at this event! Please note there is limited space so you MUST RSVP to attend!